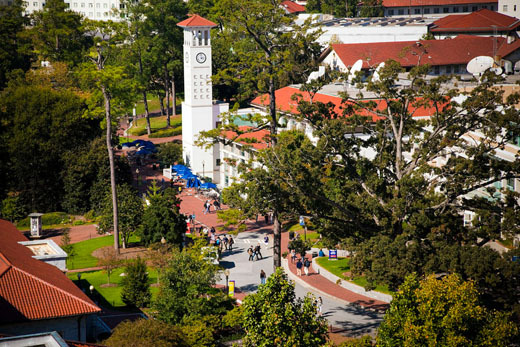 Changes to overtime regulations in the Fair Labor Standards Act will cause a number of Emory University staff positions to transition from exempt (monthly paid) to non-exempt (biweekly paid/overtime eligible). In May 2016, the U.S. Department of Labor announced changes to overtime regulations in the Fair Labor Standards Act (FLSA), raising the salary threshold required to qualify for exemption from overtime to $47,476 per year, an increase from $23,660 per year. As a result of the new regulations, a number of staff positions at Emory University will transition from exempt (monthly paid) to non-exempt (biweekly paid/overtime eligible). To prepare for the changes, the Human Resources division has been working closely with HR leaders from across the campus to identify exactly which University positions will make this transition. Barnes explains that the guiding principle being used in making these determinations is that pay practices will remain consistent across the University. “We want to ensure that all employees working in the same job classification will have the same FLSA status,” he says. In order to keep pay practices consistent, some employees with a current salary above the new threshold of $47,476 may become overtime eligible if their job classification is identified to move to non-exempt. Employees who transition to a non-exempt position will move from a monthly pay cycle to a biweekly pay cycle. They will also become eligible for overtime pay (time + 1/2) for all hours worked over 40 in a work week, and will be required to record all of their hours worked. Annual earnings, vacation and sick leave, benefits, and job titles are not affected by the FLSA changes. In June and July, HR held eight separate focus groups for staff and managers at four different campus locations: Emory College, School of Medicine, Yerkes and Campus Life. “Because we expect this may be a difficult transition for some of our employees, we wanted to hear concerns directly from those who may be impacted,” says Theresa Milazzo, associate vice president of human resources. Some of the common themes that emerged from the focus groups included concerns about flexibility, professional development opportunities, and getting the work accomplished in a 40-hour work week. Milazzo says that HR plans to use the focus group feedback in the development of communications and training materials for the implementation process. The Department of Labor’s effective date for the new rules is Dec. 1. Emory’s effective date has yet to be determined, but will likely be in late November, with employees being notified in late September. For more details about the FLSA changes, including a list of FAQs, visit the Emory FLSA webpage.